The Tally-Ho Hotel and the Mardelle Manor are located just steps from Bestor Plaza, the center of all Chautauqua activities. Walk to the amphitheater in less than five minutes where you can hear the symphony, listen to lectures by renowned experts in their fields, and enjoy a wide variety of performers in music, dance, and theater. Whether you come to soak in the rich tradition and historical significance of the Chautauqua Institution or just enjoy the outdoor activities that the lake offers, the Tally-Ho and the Mardelle Manor are ideally located to suit your needs. 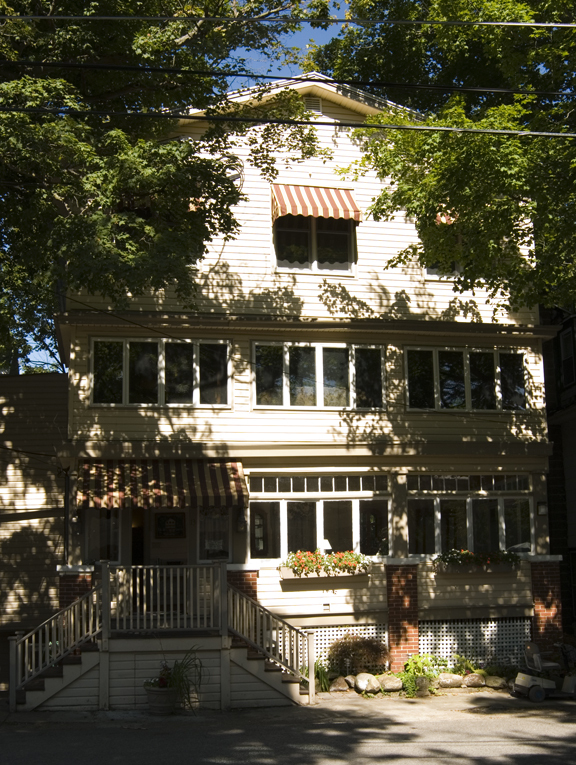 Both establishments offer a rich blend of Victorian and modern accommodations. Conveniences including air conditioning, private baths, and cable TV are standard. Enjoy the views from the many porches and verandas, read a book, or relax after a concert or lecture. A large variety of rooms are available from singles to efficiencies to large apartments with living room, bedroom, and full kitchen. 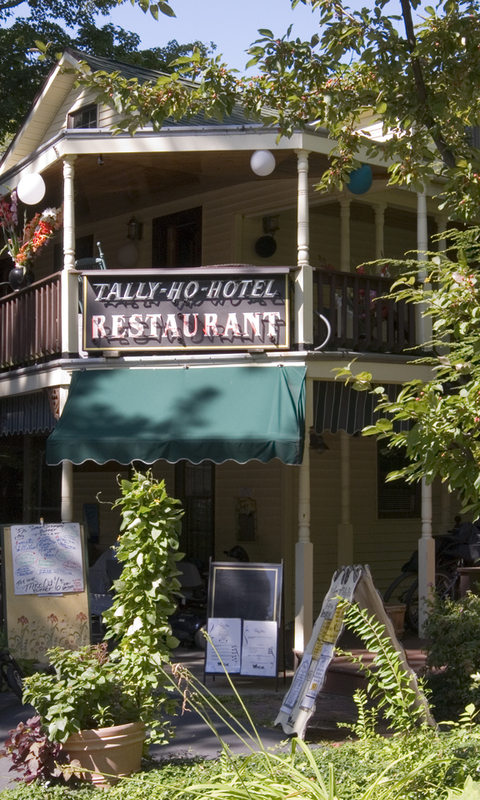 Take advantage of the home cooking served in the on-site restaurant at the Tally-Ho where Chautauquans have enjoyed meals since 1939. Stay for a week, the entire Chautauqua season, or for a shorter time; we have rooms that are ideal for all lengths of stay. Follow the links at the top of the page to learn more about the Tally-Ho Hotel and Restaurant and the Mardelle. Also be sure to check our Specials Page.